Retail Price: $135.00 Log in for LOWEST PRICE! Domaine Parent is run by the sister team of Anne Parent and Catherine Fages-Parent. Anne handles the winery and tends the vines, while Catherine manages the business side of things. They took over from their father in 1998. He'd been running the place since 1953, but it's been in their family all the way back to 1803. In France, winemaking really is a way of life. The Pinot Noir vines harvested for this selection are from 61 to 75 years old. That means the grapes have had time to mature the special flavors that are only present in older vines. This is a generous wine. 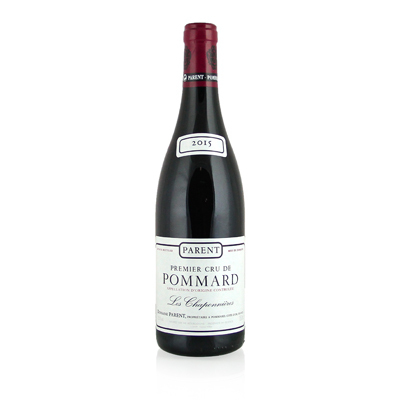 The flavor begins in the nose, with spice, raspberry, cherry and a subtle hint of licorice. It's structured and weighty, but not too weighty, and the finish goes on forever.